Medal of Honor Recipient George Sakato said with tear, ' I am not a hero. I just killed a lot of people. It's not good. This medal is for the people who couldn't return to their homes, not for me.' Even many soldiers who receive the decoration have deep scar in their mind still now. He is the veteran of 442nd Regimental Combat Team in WW2 composed of Japanese American, who were at first looked as the problem because of the race but later they were looked as the problem solver because of their splendid achievement in the battle field. They had to fight for not only enemy but also the prejudice. 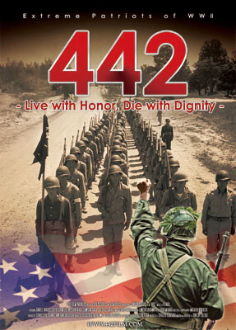 This is the story of 442nd and their veterans now and then.